If you’re a real estate investor and you’re wondering what your next investment should be, have you considered investing in land? 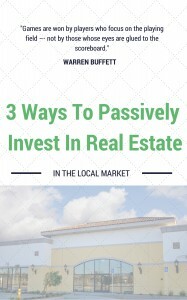 It’s an often-overlooked investment with a lot of potential, and it’s a simple way for someone to extend their real estate investing portfolio in a different direction. Here are 4 reasons to add land to your investment portfolio in Jacksonville. Land investments are a compelling way to invest. If you’re looking at your next investment, these are 4 reasons to add land to your investment portfolio in Jacksonville. Want to check out what land might be available to acquire in Jacksonville? We can help with that. We have a list of land investment properties that we’ll share with you. Just let us know that you want to see the list by calling (800) 868-0388 or by clicking here to fill out the form.